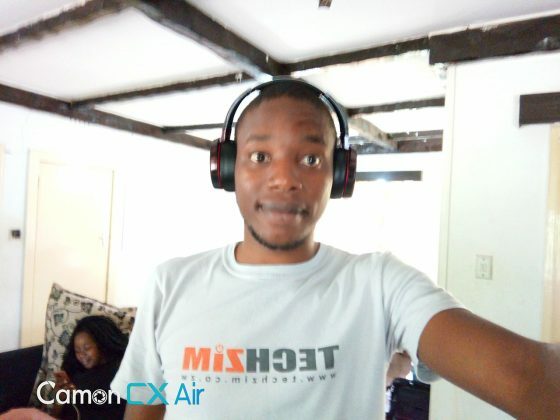 A number of you avid readers of Techzim requested to get the review of the Tecno Camon CX Air. By a number it was actually 1. That’s good enough so onward with the review. 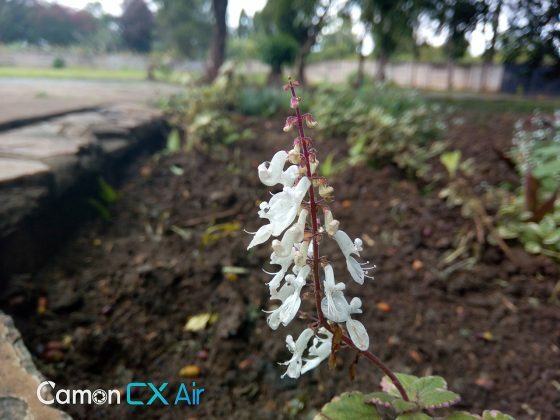 This is the Tecno Camon CX Air. 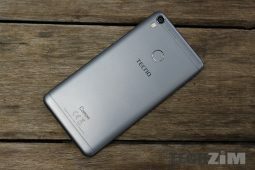 It is the lite version of the Tecno Camon CX. Let’s see what the baby camera phone is packing. The following is a technical review of this device. For a simplified summary scroll down to the ‘In a nutshell’ section at the bottom of the review. Pretty decent inventory over there and it also comes with a plastic screen protector preinstalled just to get you going. Presentation is always pleasing from Tecno everything is packaged nicely. Yes I am a man who appreciates a satisfying unboxing. It is a pretty light device, the front is dominated by a 5.5 inch 720p IPS display. Above it from the left is the notification LED, a 13MP selfie camera, some sensors, DUAL LED selfie flash and the speaker grill tucked in between the front glass and the frame of the phone. The bottom is just bare. There is a silver ring circling the selfie camera which is a bit of a staple for the Camon series. Personally it ruins the rather clean and simple aesthetics but this is just personal preference. 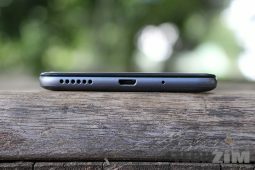 The top edge has a very welcome 3.5mm headphone jack. The left side has the dual sim tray. It is not a hybrid SIM/microSD slot so we are getting all the options here. 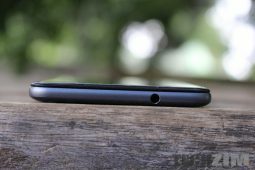 The bottom of the smartphone has the primary mic, the USB port in the middle and the loudspeaker. 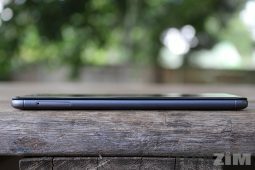 On the left side you have the microSD card slot for up to 128GB of expanded storage. Below those are the volume buttons and the power button. 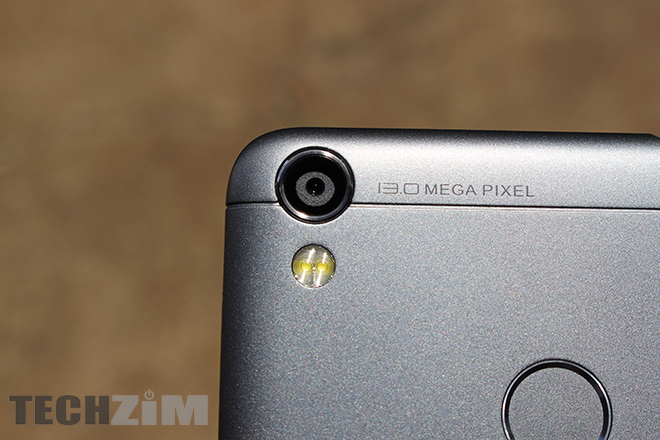 At the back there is a 13MP camera with a dual LED flash keeping it company. Below that is the fingerprint scanner. The back is non removable and of a plastic finish. It does a good job of masking fingerprints but brutally easy to scratch. Might need that case if you wanna maintain the quality of that back. 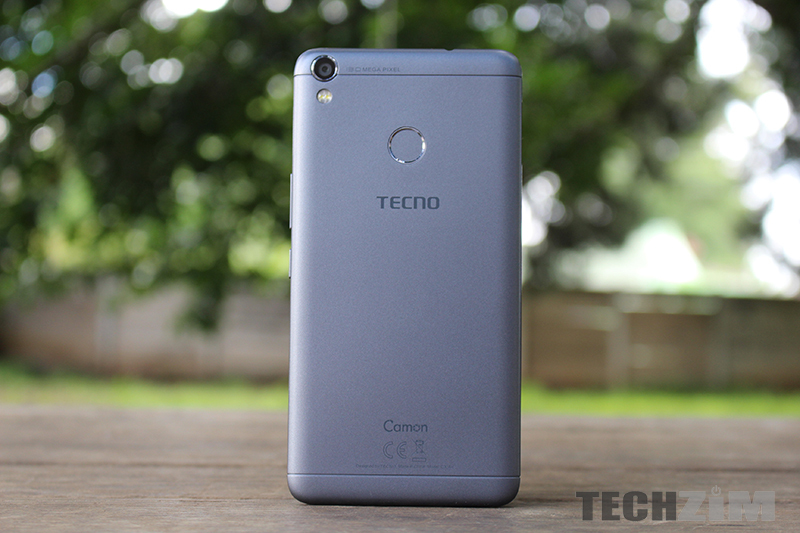 As mentioned earlier the Camon series is the camera focused line of Tecno smartphones meant to provide a great photography experience. 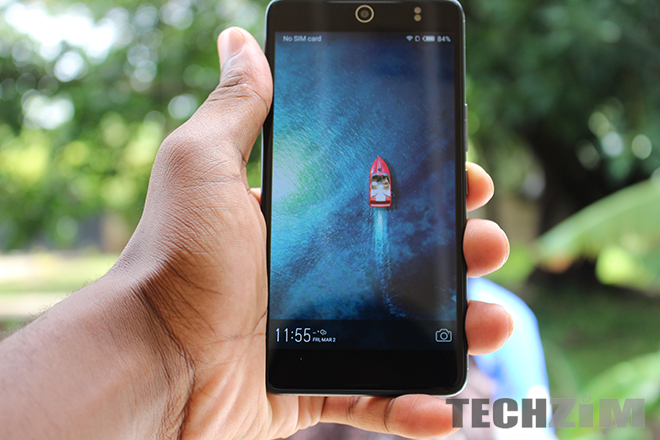 This particular one comes with 13MP sensors front and back and dual LED flashes front and back as well. The photos do come out reasonably well in perfect conditions with excellent lighting. An annoying feature was how long it would take to focus on an image and that’s if it even got the focus right. Another appointment’s was the lack of manual mode on a phone that’s focused on photography. All you get is a night mode setting and an HDR button which also takes it’s sweet time when capturing an image. The front camera is better than a number of selfie cameras. The face beautify feature does polish up very well as long as you select the right amount. Dial it up too much and you’ll look like an oil painting. But for a Camon I just couldn’t help but feel like it could have done more. 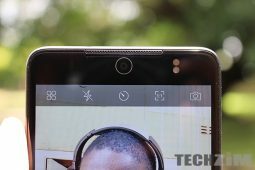 Now all that said you have to remember this is the stripped down version of the proper Camon CX and thus to make it cost a bit less it had to lose a couple of things. You win some you lose some. Sound is really decent. The speaker can go pretty loud but at the expense of sound quality. The output from the loudspeaker is a flat sound which won’t move audio enthusiasts but there is no crackling at max volume. Plug in a set of headphones and some pleasing audio will bless your ears. Volume is decently high with a richer sound profile that you can further tune with the built in equalizer. Its quite an impressive showing for a device this far down the food chain. I love how they gave us all the options. You get a dual sim slot just for the sim cards no sharing. And speaking of sims you get 4G LTE, your bluetooth and wifi. Standard connectivity is here and no, you cannot throw your CDMA line in this phone it will not work. Pretty solid overall connectivity package. The battery pack in this device is a 3200mAh unit which seemed on paper to be a worthy of being an endurance champ. However endurance was just reasonable, for the record the L series of Tecnos is were you get all the endurance if that is what you are looking for. 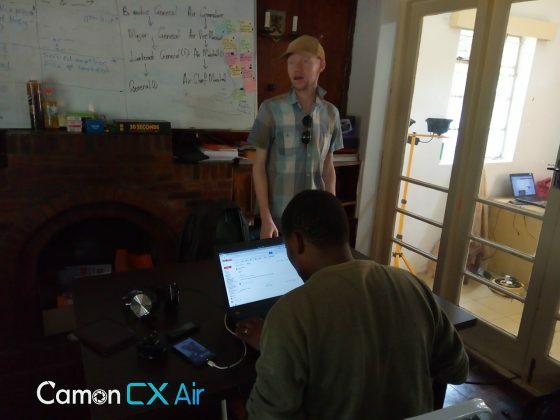 In our endurance test the Camon CX Air suffered a 49% power drain after an hour each of video recording, gaming and video streaming. Not a bad effort at all you can enjoy about a full day with just a charge. This is a completely artificial test which allows us to provide a uniform test environment for all of our devices for purposes of comparison. 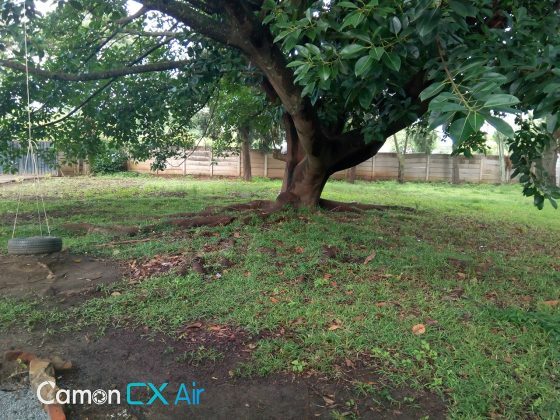 The Camon CX Air is a toned down version of a midrange device and so are the specs. You get 2GB of RAM and 16GB of internal storage expandable to 128GB via microSD card slot. Ticking away is a Mediatek MT6735 CPU with 4 cores clocked at 1.25GHz and a Mali-T720 handling the graphics. Its an entry level package which with the mated hardware does provide a smooth enough user experience. You do see a bit of lag when you either multitask or open heavyweight apps like the Boom player or Facebook. These tend to make the device clunky but apart from that overall performance is not disappointing. When you do eventually task it with grizzly apps it does stay cooler than average which has been a staple for Tecno devices. It is never unpleasantly warm to the touch. You get a pretty swift fingerprint scanner as well as the option to have both the dual sim feature and expandable storage. Looking back at the title this is actually a decent device. It has satisfactory performance almost very pleasing if you avoid performance busting apps. Cameras make it work but only when the conditions are great. 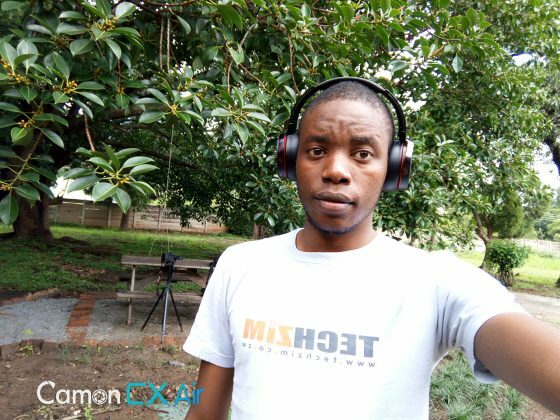 You might know of a person that loves taking photos and always has their earphones plugged it. 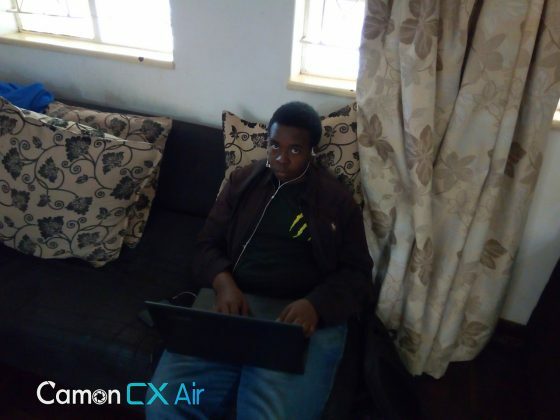 This is who the Camon CX Air is for. A budding selfie lover and music enthusiast. The dedicated memory card slot can attest to that. 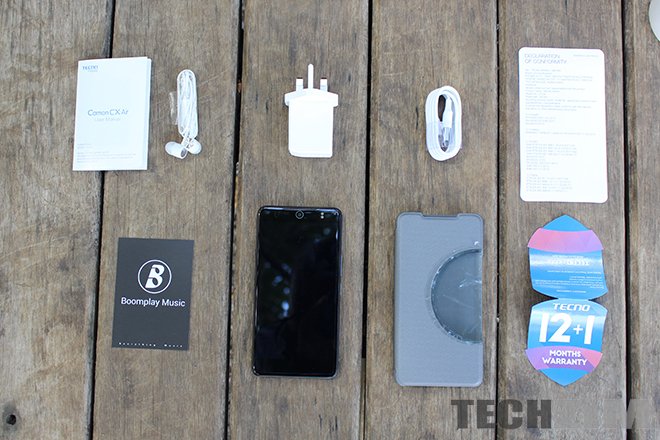 Its again a very decent with a proper no frills approach to an entry level smartphone. 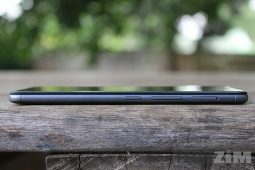 Its a great place to start because it IS a pretty decent phone trying to cover all the basics. Only thing that is going to hold it back though is the $350 price tag…and no option for lay-by. Shout out to Appliance Expert for the review unit. Are Huawei & ZTE Really Spying On Consumers And Should You Be Afraid?